What is a food jag? Why does your child have one and how do you break one down so that picky eating can be improved and kids learn to eat a wider variety of foods? This feeding therapist and mom is answering it all! Have you ever stepped back and thought, “How did I get to this point?” when you were making the same meal, again, for your child? You’re likely preparing two different dinners, lunches, and breakfasts every single day. There’s your child foods and the food the rest of the family eats. The food your child eats must be prepared just right, without a single crumb out of place, or the whole meal could be ruined. And, by ruined, I mean that they simply won’t eat it. It’s a little alarming that they’re seemingly okay with skipping another meal simply because the chicken nuggets were a different brand, weren’t crispy enough, or had a teeny, tiny dark spot on them. Really, in the moment you don’t care because you just want them to eat. You’ll do anything to get them to eat. But, at the end of the day, you’re wondering, and maybe even stressed, about this extreme picky eating that seems to be on a whole different level than anyone else’s kids. The truth is that this extreme particularness about your child’s food actually has a name. It’s called having a food jag. What is a Food Jag? Sound a little strange? Well, it’s not really a mainstream term, but one used by feeding therapists (i.e. occupational therapists like myself, speech therapists, and dietitians) to describe when a child will only eat a certain kind of food that’s prepared a specific way with no exception. It doesn’t matter if you give them a food that’s similar in shape, size, taste, or color. Children that have food jags may only eat french fries from McDonald’s and nowhere else. Forget homemade or even frozen varieties from the oven. Even foods that are extremely similar can’t be tolerated. You could try to give them french fries that look and taste very similar to those McDonald’s fries, but they won’t even touch them. Heck, they might flip out if they see you even making them, yelling at you or throwing a total tantrum. Some children will only have food jags with certain foods, but are flexible with other’s. For instance, your child may insist on only eating Dino chicken nuggets, but they’ll eat lots of different kinds of potato chips and applesauce. Other kids will have food jags with nearly all of the foods that they eat. The problem with food jags is that it makes it extremely difficult to teach your child to eat new foods when they aren’t even willing to consider another brand of their favorite type of food. Parents often feel like a slave to the food jag and are scared to try anything new because it never works and only causes more stress. It can be a viscous cycle. Why Does My Kid Have Food Jags? If you’ve been living with foods jags for a long time, this is a question you may have stopped asking yourself long ago, but there is a reason and understanding it can help you begin to move past them. Food jags are a part of extreme picky eating. Extreme picky eating is beyond the typical picky eating stage that many children go through. One of the hallmark differences between average picky eating and extreme is the number of foods a child eats, meaning how selective they are. Kids that have less than 15-20 foods that they eat regularly are often considered extreme picky eaters, while children that eat more than that fall under typical picky eating. There are a few other factors, as well, you can check them out in Extreme Picky Eating VS. Average Picky Eating! And, while I use the phrase extreme picky eater, I should point out that there are many other terms that different professionals and parts of the world use to describe extreme picky eating. Some other’s are: problem feeders, ARFID (Avoidant/Restrictive Food Intake Disorder), SED (Selective Eating Disorder), or Food Neophobia. In all honesty, the term, or even a diagnosis, isn’t very important to me as a feeding therapist. Any of them are indicating that picky eating is beyond it’s usual limits and food jags are likely a part of the equation. Extreme picky eaters get so highly specific about their food because they’re afraid they will have an unpleasant experience if their hamburger is from a different restaurant or their banana has that tiny little brown spot on it. They need the food to taste the same way it always does with no unexpected changes, because a change that they don’t see coming, like a mushy spot on their fruit, can be VERY uncomfortable for them. 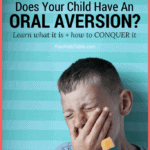 Even though you or I would likely shrug, not notice it, or get another piece of fruit, to a child that’s an extreme picky eater it can make them gag or even throw up. It’s that uncomfortable! 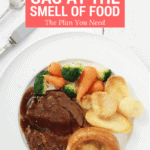 They want to avoid that, and the way they do is by controlling exactly how their food is prepared, aka a food jag. Extreme picky eating, or whatever you call it, starts for a reason, and as those that have taken my free picky eating workshop know, it’s not the parents fault. There are many real causes of extreme picky eating and food jags, some of which include sensory issues with food, oral motor skills (that’s how they use the muscles in their mouth to chew their food), past or present underlying medical issues that are hard to suspect, and more. Head over to Why Kid’s Don’t Eat to find out the 5 main causes. I won’t lie, food jags can be difficult to break, but it’s very possible. It’s something we talk about all the time inside of my picky eating course, Mealtime Works. Cut food into different shapes. Meaning if you always give them a banana whole, try cutting it in half or in circles. Buy a different, but very similar brand. Cook their food so that’s it just a little crispier or softer. Now that you messed with their food jag, it’s really important that you also serve something that you KNOW they like along side it. We don’t want to totally freak them out when they come to the table and see their sacred peanut butter sandwich that’s normally cut in triangles is now in squares. Once they’ve accepted the change, you can build on that by changing it a little more. Psychologically this helps picky eaters understand that their food can look different and it will be okay. They begin to start being open to new and different foods! 2. 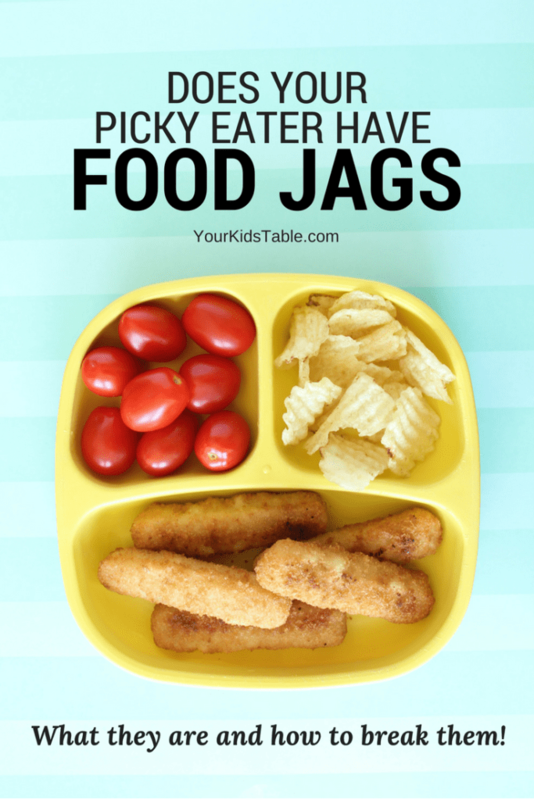 Use a “Picky Eater Plate” – Even older kids with food jags will appreciate a divided plate because it keeps their safe food jags from touching any other foods that they have no intention of eating. In this case, any food they don’t usually eat that is put on their plate is often a source of fear as well. They don’t know what it tastes like and they’re worried that if the different food touches their preferred food then it will be ruined. A divided plate can help a lot of kids accept having something different on their plate. This is so important for when you’re following step one, but it also gives you a way to just get a little bit of a new food onto their plate. 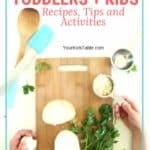 Sturdy divided plates with deep sides – My kids use these every single day, they’re super functional too! Dinosaur silicone place-mat with compartments – So fun and they come in multiple colors. Construction zone plate and utensils – There’s a fairy garden version of this as well. Healthy portions plate for older kids – As long as it doesn’t turn into negative pressure to eat, teaching kids about the different types of food and having some of each on their plate can be helpful. Head over to teaching kids about nutrition to read more about making sure you empower them instead of turn them off to eating healthy. If you’ve tried divided plates and your child still flips out when there’s a new food added to the plate, then it will probably be helpful to make it even easier for them. I like to use a small side plate to put other foods on as a transition to eventually getting it onto their plate. These cool dip cups can even clip right onto the plate! Of course, I’m a big believer in not pressuring them to eat and letting them know it. Honestly, that’s my best picky eating tip, and to move past food jags it’s critical. You can read about how NOT to pressure kids to eat and why it’s so important in The Best Strategy for Picky Eating. 3. Build a Bridge to Similar Foods – Although it takes a lot of repetition and patience consistently offering very similar foods at meals to their food jags, it can help them expand their variety and break down a food jag. This is much more successful when you’re already using step 1 and follows a similar philosophy. As a feeding therapist, and even as a mom (yes I’ve done this with my son), I’ll write down every single food they eat and think about other foods that are very similar. This also helps you see patterns in what kinds of foods they’re eating! You may notice that all or most of their foods are crunchy, white, or a strong flavor. Use that! Pick other foods that meet the same criteria and regularly give it them. This is critical for food jags. You can read more about the building a bridge strategy in How to Expand Your Child’s Variety. While the above steps are very specific, the truth is that there are some other important strategies to really see big changes with picky eating. I teach you the 3 most important keys to turn around picky eating in my free workshop. I highly recommend incorporating these along with the steps you’ve learned above. This is game changing stuff. Pin it here, you might want to check it out again! Great suggestions. The never knew the term food jag and that definitely describes my 5 year old. For some foods anyway. He’s been picky for a very long time and everyone kept telling me- he’ll grow out of it. Or they told me to leave it on his plate and serve it to him again. That strategy never worked on me, and it doesn’t work on him. After counting up all his foods we are between 15-20 (if you count popsicles and ice cream), though I know we used to have a few more that we’ve lost. For example- he used to drink smoothies from McD’s and suddenly he’s asked me not to get it for him anymore. About once a year we can get him to eat chicken. The rest of the time he throws up if he puts meat in his body. Every once in a while he will try new the bags, say they’re good, and then never want to eat them again. I’m so lost. This year we’re trying a garden and he says he can’t wait to eat all the vegetables. I have no idea if that’s going to happen or if he will just cry and refuse. I love the garden idea, I think that’s great!! It may not cause him to suddenly eat loads of veggies but it will be a good experience for him and help him. Have you seen the free picky eating workshop, I think that would be a big help for you! This is exactly like my 4YO! We tried the garden idea…and when it came time to eat the veggies it was a no-go. I can’t wait to try out some of these ideas.